Nathan Hall has been pursuing many outlets in music and art. He was born and raised in New York State and has degrees from Vassar College (B.A.) and Carnegie Mellon University (M.M.). He primarily makes classical music, ranging from award-winning chamber and orchestral work, to commissions for site-specific performances in Pittsburgh’s North Side. Recent works include a duo album of compositions with guitarist David Bernabo, a sound sculpture for SPACE Gallery Pittsburgh, and graphic scores and performances for Irish artist Rhona Byrne. 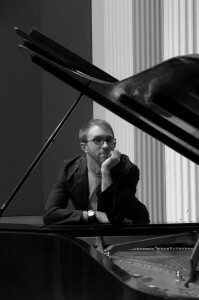 In 2010 Nathan received a Fulbright Fellowship to live in Iceland, writing music that explores the connections between Iceland’s people and landscape.